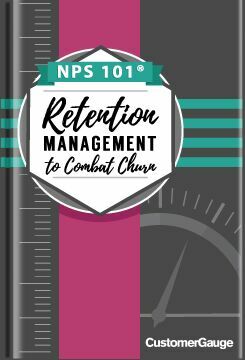 Consider this lesson plan a wakeup call if you have no idea what your retention rate is (if so, it's OK...44% of execs don't either). We'll break down the basics of churn and propose a set of proven best-practices to help you keep your customers coming back! ✔ What's churn and why should I care about retention? ✔ How can I dig deep into churn? And what are churn analytics? ✔ How can I stop "the revolving door" and rescue high-risk customers? Download now and discover best practices in bringing the wow factor!